The Grand Prix is a rose show that is held at a regular NRS meeting. Its purpose is to give members a chance to learn about, and practice, exhibiting roses. The 2018 Grand Prix will be held on Sunday, September 9, 2018 in the Cheekwood Botanic Hall meeting room. A grooming room will be open at 1pm. 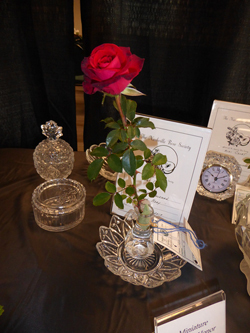 Experienced exhibitors will be there to help anyone needing help in grooming their roses. Larry & Connie Baird and Gene Meyer will speak about showing our roses. Connie will tell us how to enter our arrangements. Click here for the show schedule and instructions.